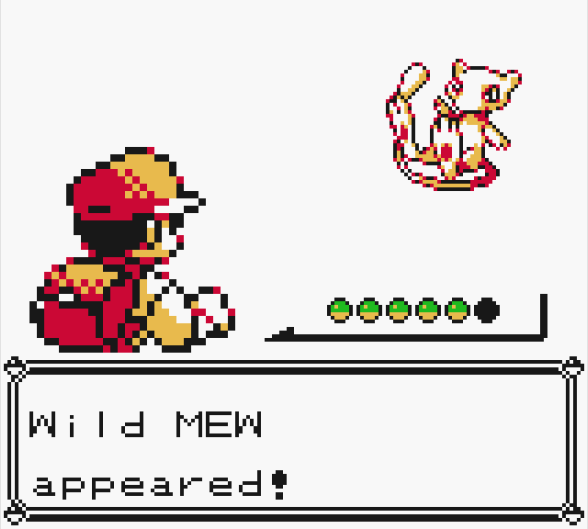 This glitch is famously known as the Mew Glitch, and can be performed as early as reaching Cerulean City. Mew is a powerful and interesting Psychic-type Legendary Pokémon that can learn any TM in the entire game, and this is the only way to obtain it in Generation I (no, you won't find it underneath a truck, sorry!). 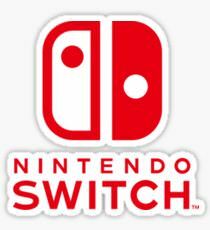 Note: This glitch is confirmed to work with the 3DS Virtual Console versions of the games! If you're trying to get Mew as early in the game as possible, you can use the following method to do so. 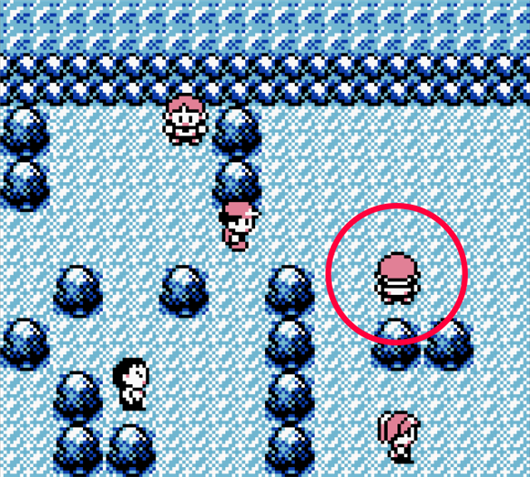 You'll need a Pokémon with Teleport, and you must not have already defeated the Jr. Trainer west of Nugget Bridge and the Youngster on Route 25 who uses a Slowpoke (both Trainers pictured below). You may also want to make sure you have a few Poké Balls, Great Balls, or Ultra Balls – whatever you can get your hands on. Mew isn't super tough to catch, but you still want to be prepared. 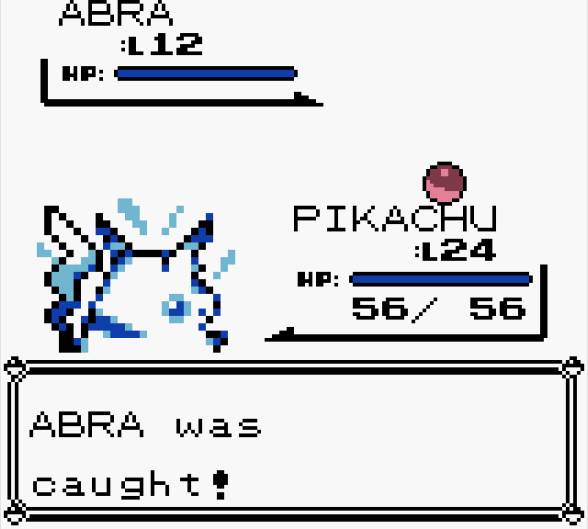 Abra is the only Pokémon you can get with Teleport at this point in the game. In Red and Blue Version, you can conveniently get an Abra in the wild on Route 24 and 25, who will only know Teleport. It'll be a little tricky to catch – try quickly inflicting a status on it that prevents it from moving, such as putting it to sleep, so you have a chance to weaken it before throwing a Poké Ball. Otherwise, it will Teleport away on the first turn. You can also just throw a Poké Ball on the first turn and hope for the best, which worked for me after a few encounters. 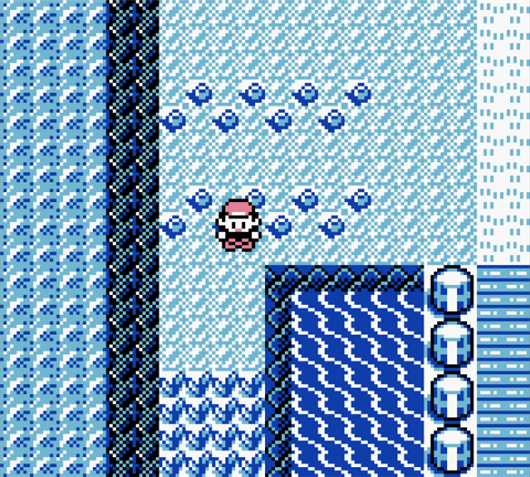 In Yellow Version, you'll have to wait until you visit Bill and can get to Route 5 (the route below Cerulean City) before being able to catch an Abra, unless someone trades one to you. Once you've got your Teleporter and still haven't battled the two aforementioned Trainers, you can begin. 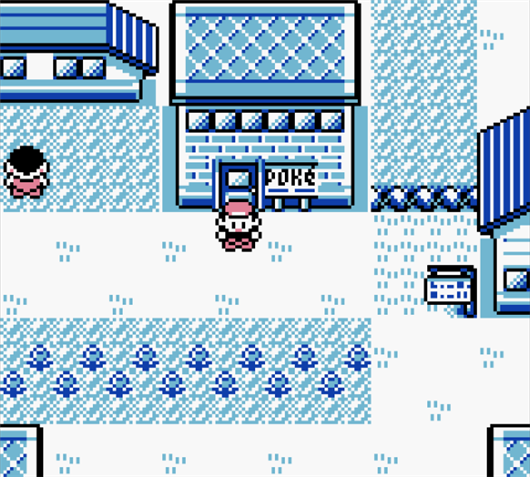 1) In Cerulean City, go inside the Pokémon Center and heal your Pokémon to make sure Teleport will take you back there when you use it. Then, head north of town, up Nugget Bridge. From here, you'll want to stand in the exact spot shown below. Definitely save your game right here, because the timing needed to complete the next step must be perfect, and you might not get it on the first try. Plus, you simply never know what will happen when performing glitches, so saving beforehand is always a smart idea. 2) Move down one step to enter the Jr. Trainer's line of sight, but then immediately press Start to open your menu mid-step. If you've done it correctly, you should be in the Jr. Trainer's line of sight, but with the menu open, preventing him from battling you. 3) While the menu is up, navigate to your Pokémon and tell your Teleporter to use Teleport. You'll trigger a battle with the Jr. Trainer, but you should Teleport away to the Cerulean City Pokémon Center before he approaches you. 4) Walk back through Nugget Bridge. This time, head east toward the Youngster on Route 25. Trigger a battle with him, but make sure you do so as far from him as possible, so he walks two steps up to you. Battle and defeat his Slowpoke L17. 5) Directly after you defeat him, use Teleport again. Walk back north to Nugget Bridge, and your menu will pop up on its own. 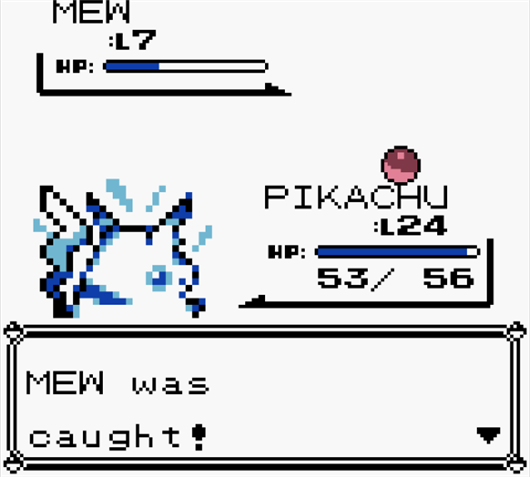 6) Press B to close the menu, and you'll encounter a Pokémon – a Mew L7! Its only move right now is Pound. See the bottom of this guide for more tips and information on Mew. This is the original method, first documented to catch Mew with. 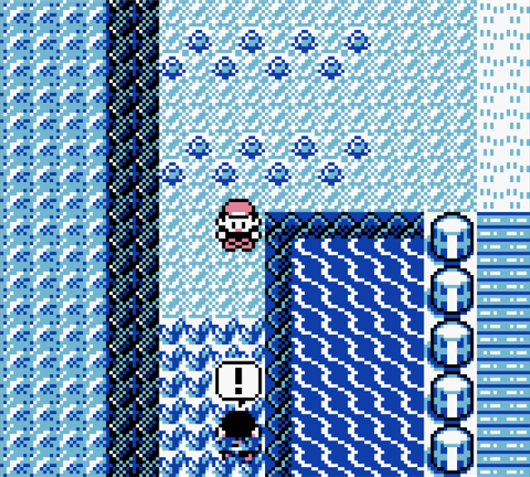 It is almost identical to the Quick Mew version, but uses a Gambler in front of the Underground Path on Route 8 (west of Lavender Town) rather than the Jr. Trainer west of Nugget Bridge, meaning you must have not yet defeated this Gambler, or the Youngster with a Slowpoke on Route 25. This method also requires Fly rather than Teleport. Make sure you have at least a few Poké Balls, Great Balls, and/or Ultra Balls before attempting this so you can actually catch it! 1) Go to Route 8, and stand directly in front of the entrance to the Underground Path. Definitely save your game here in case you don't get the timing right for the next step on the first try (or, in case anything else goes wrong while performing the glitch). 2) Move down one step to enter the Gambler's line of sight, but then immediately press Start to open your menu mid-step. If you've done it correctly, you should be in the Gambler's line of sight, but with the menu open, preventing him from battling you. 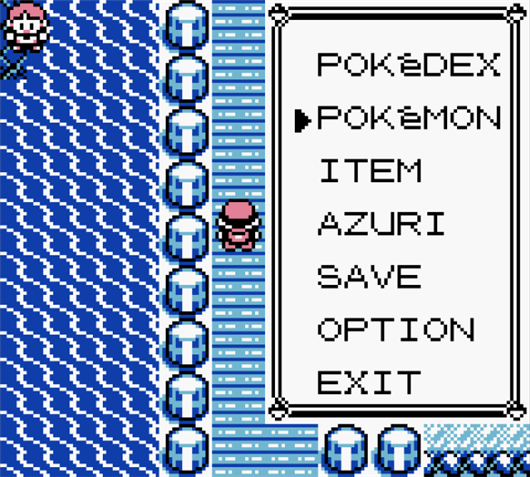 3) While the menu is up, navigate to your Pokémon and tell your Flyer to Fly to Cerulean City. You'll trigger a battle with the Gambler, but you should Fly to the Cerulean City Pokémon Center before he approaches you. 4) Walk back through Nugget Bridge. Then, head east toward the Youngster on Route 25. Trigger a battle with him, but make sure you do so as far from him as possible, so he walks two steps up to you. Battle and defeat his Slowpoke L17. 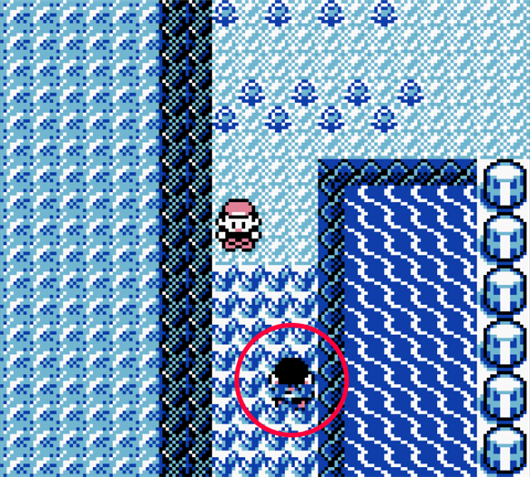 5) Directly after you defeat him, use Fly to go to Lavender Town. Walk through the narrow path toward Route 8, and your menu will pop up on its own. 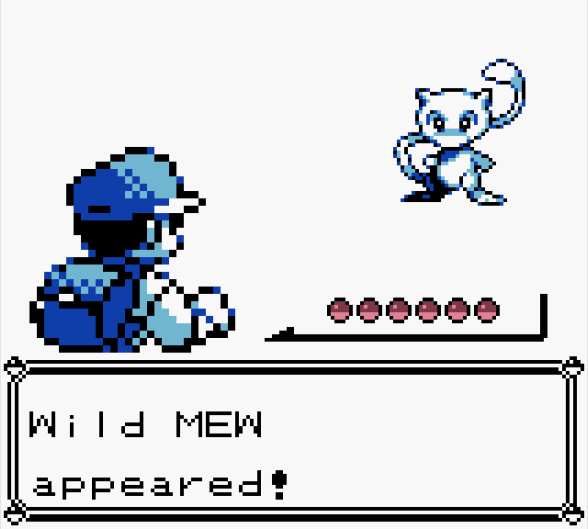 6) Press B to close the menu, and you'll encounter a Pokémon – a Mew L7! Its only move right now is Pound. See below for more tips and information on Mew. Mew is not too stubborn to catch, but you still might want to weaken it and/or inflict status on it to make catching it much easier. Mew's stats are 100 across the board, making it more fearsome than it looks. It only has Pound right now, though, and is very low leveled, so it won't put up much of a fight. If you saved the game right before you started the glitch, you'll easily be able to reset and redo the steps if you fail to catch it, so no worries! And that's it, you now have your very own Mew! Have fun with it! If you have any questions about completing this glitch, please leave a comment down below and I or someone else will try to assist you. Thanks for reading! does this work on the re released version? Note to self: Don't rush through Cerulean, haha! I can't even remember how I got mew in Yellow way back when, so this will be fun! Yes. 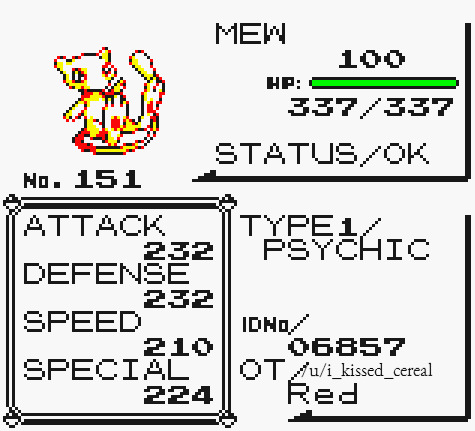 My Mew is beautiful. I have good news: It's the exact same way as Red and Blue! Only thing they fixed for Yellow is the Missing No. glitch. 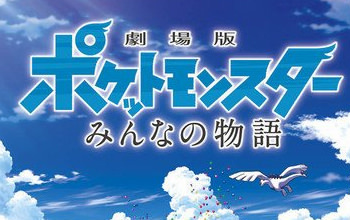 Good thing about R/B/Y: The Nostalgic memories. Woohoo! 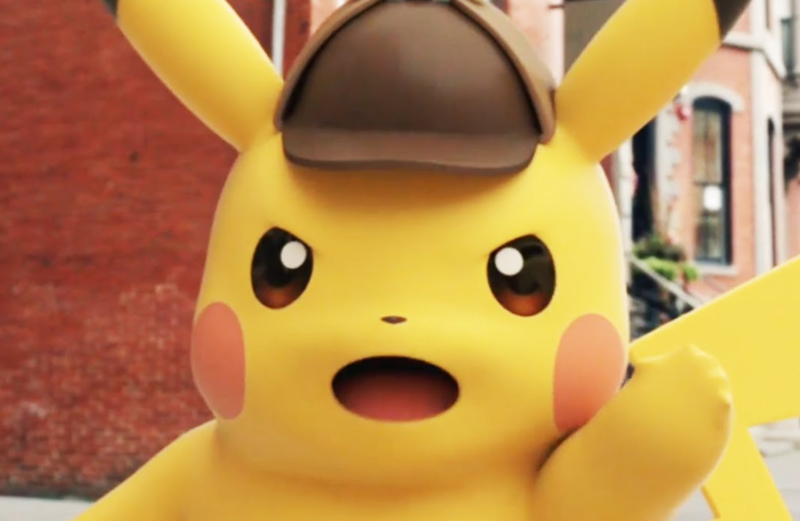 So glad we're getting generation 7. Guess we all better catch em all for when Generation 7 gets released? 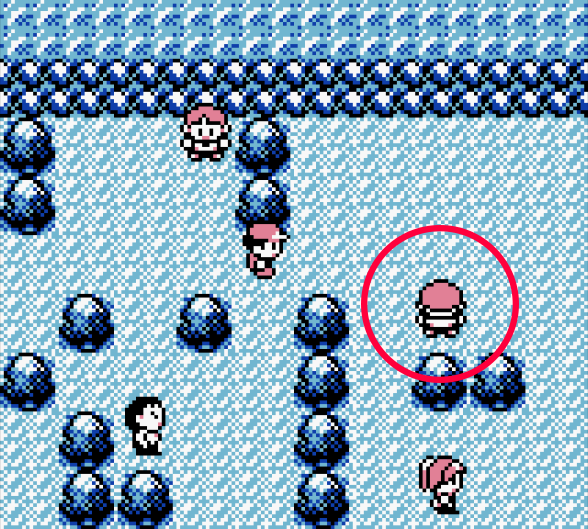 You actually don't need to teleport after defeating the guy with the slowpoke. Just head west after defeating him and the start menu will appear as well and then close it and you'll encounter mew. 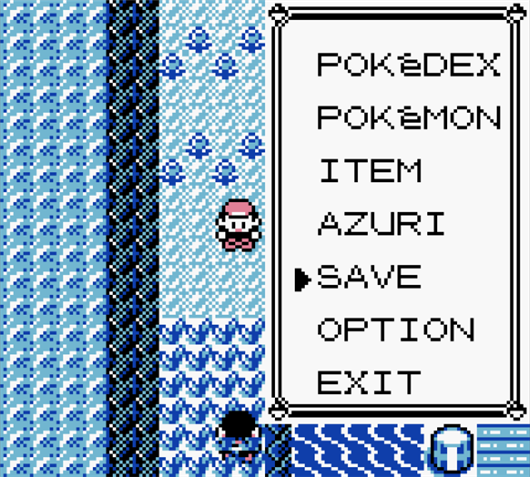 Additionally, there's another way to get Mew, and you can get a second mew this way as well. After getting mew the first time, go back to the trainer west of nugget bridge, repeat the teleport process, and then go into the cerulean gym and battle the first trainer (the guy in the pool). 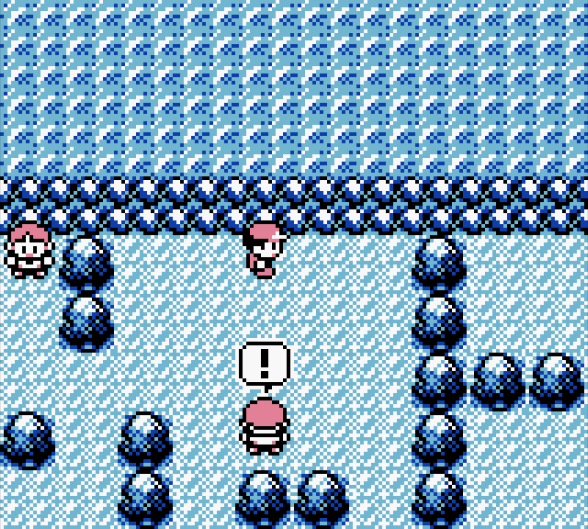 After defeating him, exit the gym, head up nugget bridge, and as you're walking up it, the menu will appear again. Close it, and you'll encounter your second mew. For anyone who doubts it, I made a video a few years ago on it (for getting 2 mews). I'd post it but it would probably get removed. Hope this info can be added to the guide though, don't think people would mind getting 2 mews! If you so wish, you can also use 6 growls on the Slowpoke and then get a level 1 Mew, ghive it a little experiance and BOOM! Now you can win every battle! I did this just to finish the game faster because lol. I've never heard of that! Interesting to know for those who don't mind being a taaaaad overpowered, haha. You can also do this in a battle with the male swimmer in the Cerulean Gym against his Shellder, and it will yield a similar result. I got gengar using the trick that yellow showed us! You have to let the slowpoke kill you though and give it a little exp. later. 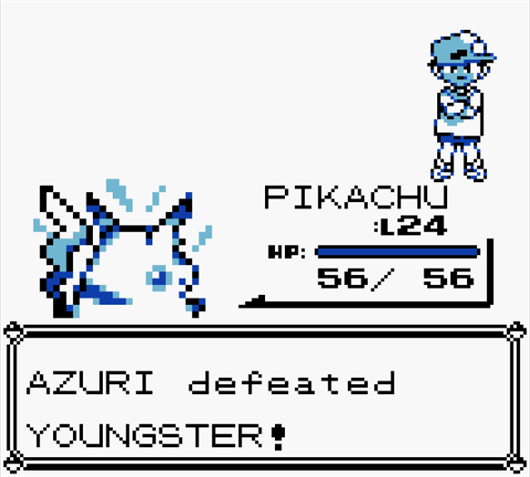 Also this glitch works with an escape rope in pokemon yellow version.